Can Chelsea build a winning run from here? Chelsea travel to Sweden to face-off against Malmo FF in the first leg of the Europa League round-of-32 encounter, as they aim to banish the stains caused from Sunday's horrendous defeat at the Etihad to Manchester City. Although both the sides have never met before in a competitive game, Malmo have lost four of their five games against English oppositions in all competitions. Chelsea meanwhile, who progressed to the knockout stages unbeaten, haven't lost in any of their previous four meetings with Swedish opposition. 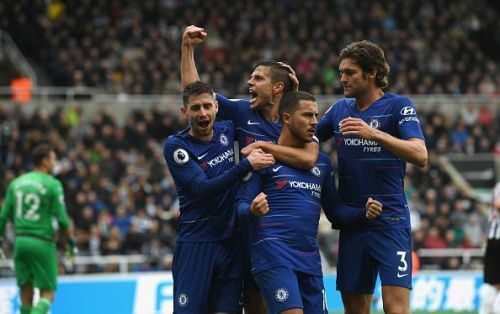 However, statistics apart, the test will be a huge one for the Blues, as ever since the arrival of winter, Maurizio Sarri's men have resembled nothing other than a roller coaster. The same was reiterated last week as well, when they brushed aside a hapless Huddersfield Town, but were humiliated by City. There's a sense of disharmony among the players, as they don't tend to turn up on big occasions due to 'mentality' issues. And the same has reflected in front of goal, as Chelsea haven't been the fluent side that would score at least two goals a game in the first three months of the season. On that note, without further delay, we'll bring you all that you need to know ahead of Chelsea's clash against Malmo. 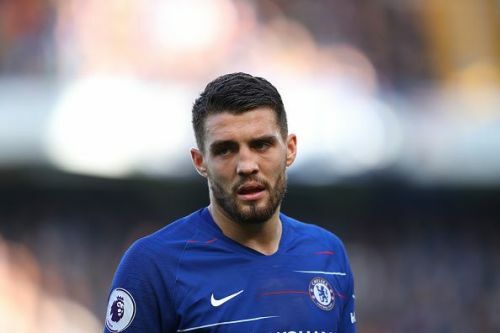 Given Sarri's reluctance to drop Jorginho in the Premier League, we can expect Mateo Kovacic, the in-house replacement of the departed Cesc Fabregas, to ply his trade at the base of midfield for this European clash. Kovacic boasts the highest passing accuracy among the Chelsea midfielders, and his ability to cover ground quickly, drive forward with the ball and play short passes with ease gives Sarri a different dimension at central midfield. The Croatia international holds the key to the Sarri-ball approach, and probably also to Jorginho's place in the team.